Waterflow | Robbins Heating & Air Conditioning, Inc.
Summer is fast approaching, and certainly, your business isn’t slowing down either. With temperatures steadily rising, you want to be sure that all your customers and employees are kept cool and comfortable throughout the entirety of the summer season. Before you know it, you’ll be warding off the heat with your commercial air conditioner, but before you can even think about turning it on, you need to make sure it’s all set to go. 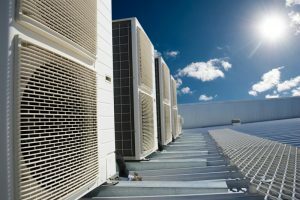 Ensuring that your commercial AC receives the services that it needs is key to maintaining comfort and efficiency throughout the summer. In fact, there are numerous benefits of scheduling your annual maintenance services with a qualified HVAC technician, and below, we have listed some of these benefits. Keep reading to find out more. When it comes to air conditioning replacements, there is one question that we hear time and time again—how old is too old? The answer that we have to give right off the bat is not always one that homeowners want to hear: that all depends. 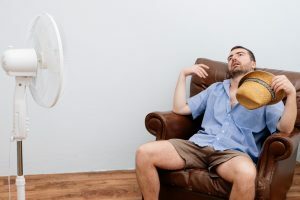 Sure, the age of your air conditioning system is definitely something that you should keep in mind if you are thinking about replacing it sometimes soon. It’s really not the deciding factor that some homeowners seem to think it is, though. The estimated lifespan of any given air conditioner may be a bit on the conservative side. We also live in a very hot area, but it’s also quite dry. Some homeowners may not run their air conditioners quite as much as others, particularly throughout the night. Your diligence in terms of changing air filters and scheduling AC tune-ups can also inform how long your air conditioner is really going to last, as well as your overall individual priorities. So here are some tips from your Waterflow, NM HVAC pros regarding when to replace your AC.